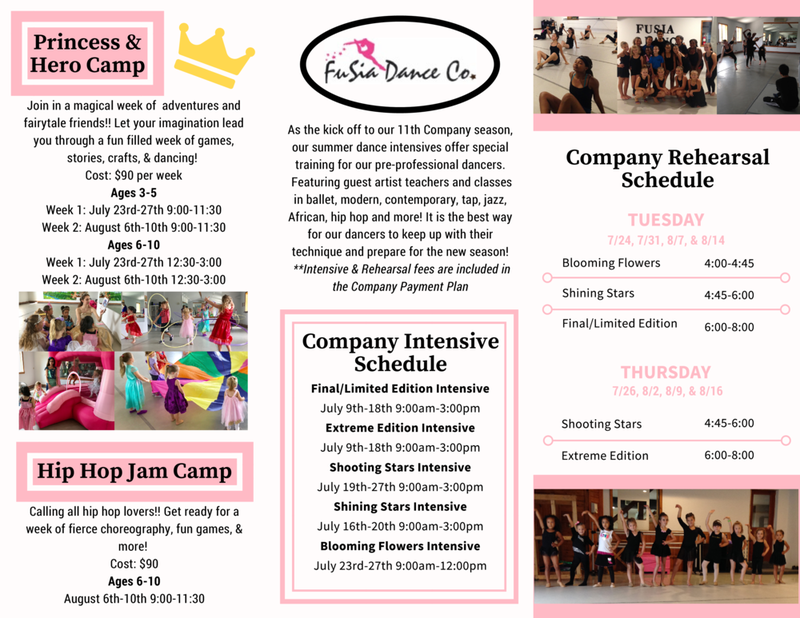 FUSIA has been offering camps and intensives for over seven years. The summer dance intensive was created by Miss Fran in 2008 to offer dancers special opportunities to work with prominent guest artists from NYC & Philadelphia areas. Our princess camps and other dance camps have been enjoyed by many of our students over the years offering something special and unique over the summers. Our 6 week intro to dance courses offer students a wonderful opportunity to try out classes before signing up for the Septemeber-May season.